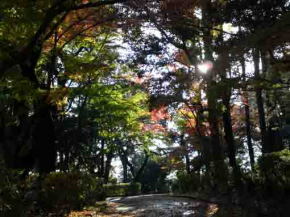 Satomi Park is a municipal park of Ichikawa city having 82 hectors on the hill called Konodai. 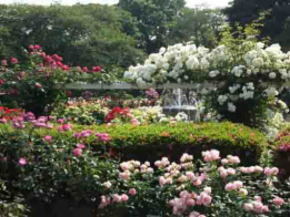 There are several hundreds of cherry trees and roses in its European garden and many people visit to see them. Moreover, people could enjoy seeing panoramic views of Tokyo, especially, Satomi Park commands a fine view of Tokyo Skytree and Mt. Fuji simultaneously. 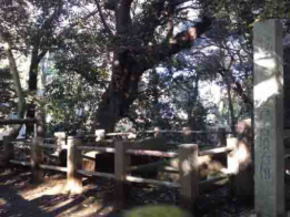 And the well called Rakan no I found by Kobo Daishi Kukai, Hakushu Kitahara's house called Shiensosha, stone coffins in Akedo Tomb and some remains of Konodaijo Castle are preserved in the park. 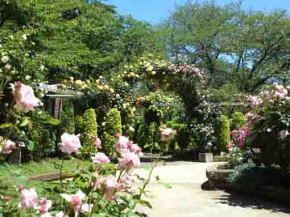 Visitors could enjoy not only flowers in four seasons and nature but also history and culture of this area. 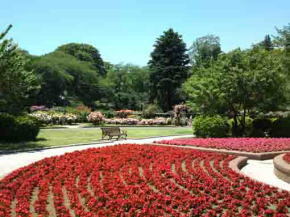 Why don't you visit Satomi Park? 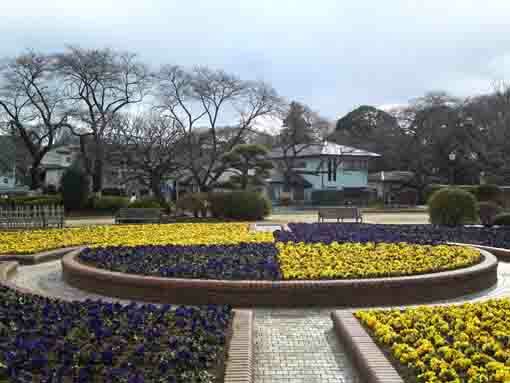 Satomi Park is a municipal park of Ichikawa City having 82 hectors of land on the western edge of Shimousa Plateau called Konodai that faces to Edogawa River. 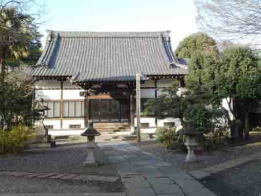 The area where Satomi Park is in has several old mounds and there was the provincial office and Kokubunji Temple was built near it, so Konodai was the political and cultural center of Shimousa in Classical Ages. Moreover, before Ieyasu Tokugawa moved Tonegawa River to east in early Edo period, there had spread low wet lands overgrown with cogon on between Edogawa and Sumidagawa River since Tonegawa and Watarasegawa river had carried their whole water to Edo (Tokyo) Bay, so Konadai was the strategically important area to take Kanto Region and to protect Edo. 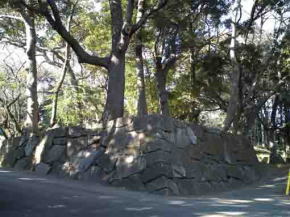 According to Gikeiki (the biography of Yoshitsune Minamoto) and Edo Meisho Zue, there was Ichikawajo Castle built in anywhere around Konodai in Kamakura period. In Sengoku period, Dokan Ota built Konodaijo Castle and the Battles of Konodai had happened twice there in 1538 and 1564, as the result of the battle, Hojo Clan gained the power to control the area. After the Siege of Odawara in 1590, the Hojo Clan was ruined and Ieyasu Tokugawa moved to Edojo Castle to rule Kanto Region, and he destroyed Konodaijo Castle since it could command the panoramic view of Edo and his castle. In Edo Period, Edogawa River brought millions of goods from north Kanto and Tohoku Region (northern provinces) by ships since the river connects to Tonegawa River, so the towns along the river had been very flourished. The views of Konadai area at that time was introduced in Edo Meisho Zue and in Meisho Edo Hyakkei painted by Hiroshige Utagawa. 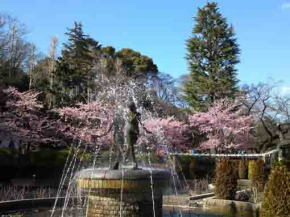 Fromr Meiji Restoration to the end of WWII, the area around Konodai was flourished as a military town and an amusement park named Hakkeien was built in the land now Satomi Park is. 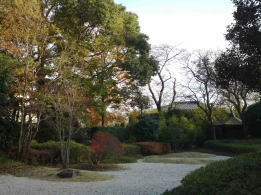 In 1959, Satomi Park was opened as a municipal park of Ichikawa City to preserve the history and culture since there was Konodaijo Castle in the Warring State Period. 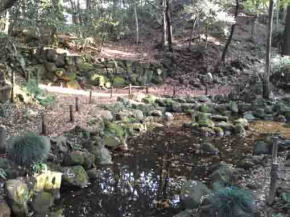 While walking in the woods in the northern area of Satomi Park, many large stones as large as ruggby balls are scattered on the bottom of the valley that might be a moat. 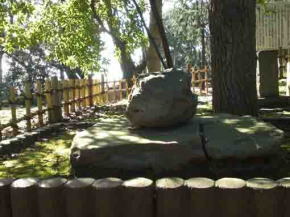 And there are several remains of fort made with piled soil in the woods. 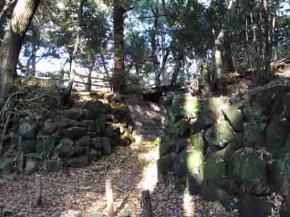 They are the remains of Konodaijo Catle built in Sengoku Period and it was also called Ichikawajo Castle. 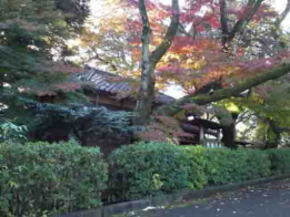 Anyway, it is said that Ichikawajo Castle might be in the area Mamasan Guhoji Temple now stands. According to Edo Meisho Zue, first Kofu Family, a branch family of Chiba Family, built their castle at Konodai, but it was abandoned. In 1479, Dokan Ota who was a popular daimyo in Muromachi Period famous for building Edojo and Kawagoejo Castle built Konodaijo Castle. There is the highest point of Ichikawa City in the remains of the castle, the observatory in the western part of Satomi Park commands the panoramic views of Tokyo even now. 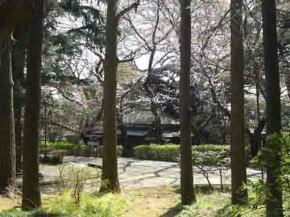 Edo Meisho Zue said that poeple could see Edojo Castle from the tea room at Mamasan Guhoji Temple 1 kilo-meter southeast of it. 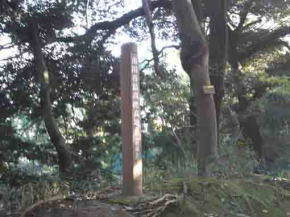 Thus, it could command most part of Kasai and Tokatsu county (both sides of Edogawa River) in Shimousa. 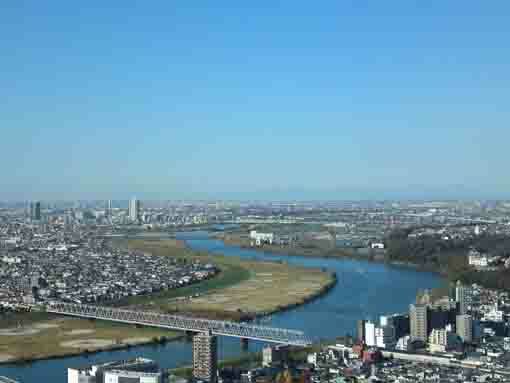 Moreover, Konodai area had been good land to protect it since there had been low wet lands in the west where Tonegawa, Watarase and Arakawa River flowing through and Mama no Irie (Mama Cove) in the south before Ieyas Tokugawa moved Tonegawa River to east. After the Siege of Odawara in 1590, Ieyasu Tokugawa moved to Edojo Castle to rule Kanto Region, and he destroyed Konodaijo Castle since it could command his castle. 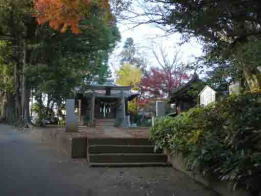 In Sengoku Period, the battles between Satomi Clan in Awa and Hojo Clan in Odawara happened twice in the area around Satomi Park. 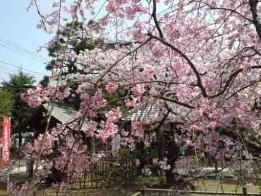 There are many remains and stories introduced in neighbor cities of Ichikawa such as Matsudo, Edogawa and Katsushika. The first battle of Konodai was happened in October 1538 by Oyumi Kubo Yoshiaki Ashikaga in Kazusa to try to attack Hojo Clan in Odawara to gain the authority to control Kanto Region since the Hojo supported his rival Koga Kubo Haruuji Ashikaga. 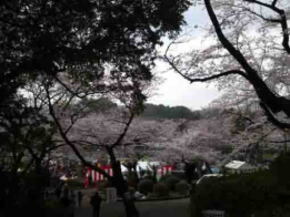 Yoshiaki and his supporters Satomi in Awa, Sakai and Takeda in Kazusa assembled and pitched camp at Konodaijo Castle. As soon as Ujitsuna Hojo, the head of the Hojo, got the information, he and his son Ujiyasu went to Edojo Castle and go to Konodai to fight against Yoshiaki and his supporters. 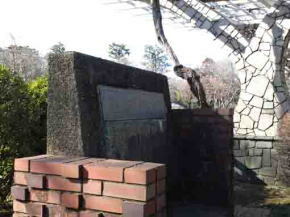 In the early morning of October 7th, the battle between them happened, Ujitsuna reached at Edogawa River, then he divided his arms into three groups, and he took the one group and attacked the Oyumi Kubo's arms at Sagamidai Hill then he went to the south, finally he took Konodaijo Castle, so the Hojo won the first battle of Konodai. 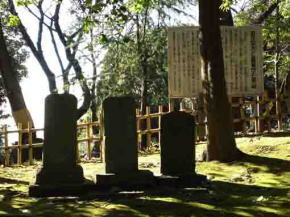 As the result of the battles, Yoshiaki Ashikaga, his son Yoshizumi, his brother Motoyori, and his chief retainer Shosen Henmi and 140 samurai worriers died at the battle, so Oyumi Kubo Family was ruined. 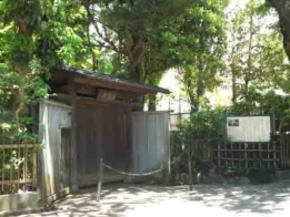 However, the Satomi destroyed Oyumijo Castle and escaped to his homeland Awa province. After the battle of Konodai in 1538, Koga Kubo Haruuji Ashikaga gained the authority as the Kanto Kubo and he gave his reward Ujitsuna Hojo with the position to control samurai worriers in Kanto Region called Kanto Kanrei and Ujitsuna became a maternal relative. Therefore, the Chiba in Shimousa, the Takeda in Kazusa and some daimyos in the Kanto followed the Hojo and the Hojo's influence in the Kanto increased. By the way, the Satomi gained Oyumi Kubo's castles such as Otakijo and Kururijo Castle and also increased their power in Kazusa province. After 26 years passed, the First Battle of Konodai had ended, the Second Battle of Kondai broke out in January 1564. 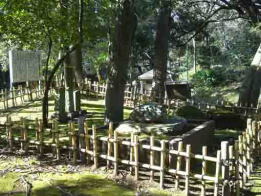 Satomi Clan in Awa cooperated with Uesugi Clan in Echigo to stop the influence of Hojo Clan in Odawara to Boso Peninsula. Yoshihiro Satomi, the head of Satomi Family, tempted Sukemasa Ota in Iwatsuki and Yasusuke Ota in Edo and they took up the position at Konodaijo Castle to attack the Hojo from both north and south side. Hearing from Chiba Clan, Ujiyasu Hojo, the head of Hojo Family knew the Satomi's action, then he and his son Ujimasa took 20,000 samurai worriers to Konodai to fight against them. 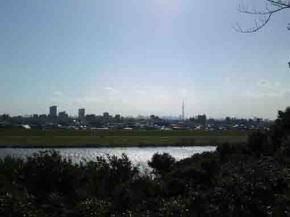 In January 7th, the Hojo reached at a shore of Edogawa River. First, Tsunakage Toyama and Masaie Tominaga opened hostilities, and they crossed a ford of Edogawa River to attack the Satomi's, but Tsunakage and Masaie died in the battle. The Hojo retreated once. The Satomi and the Ota pleased at the victory, then they gave alcohol to their soldiers at night. 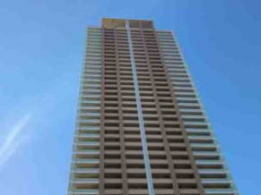 When they were off their guard, the Hojo made a surprise attack on them before daylight in January 8th. The arms of the Satomi and the Ota fell into great confusion, the Satomi escaped to Awa and the Ota fled in disorderly retreat. Finally, the Hojo won the great victory. After the Second Battle of Konodai, Hojo Clan gained the power to rule Edo from Yasusuke Ota, and their influences extended not only Shimousa but also Kazusa province. The Hojo took Edo as the strategic foothold to invade the northern Kanto region. 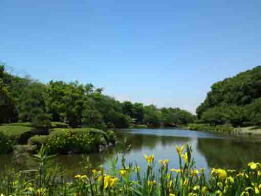 The Remains of Konodaijo Castle and Satomi Park has great accessibilities from both Narita and Haneda International Airport. 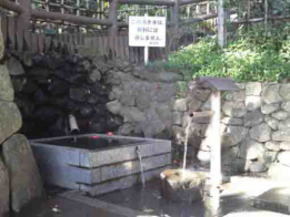 Take 10 minute walk from Konodai and Yakiri Sta.